An appraisal should be done before building or remodeling a property. Typically, when a home construction loan is needed, banks obtain a property valuation report based a set of building plans. They are wise and do this to ensure the home will be worth what they lend on it—to protect their investment. Wouldn’t it make a sense that this should be a vital step for the builder/owner to take in order to avoid overspending on their build/remodel—when they are using their own funds? If a property is overbuilt for the area the property may not be worth the amount that was spent, and unfortunately the homeowner loses their investment—which could be substantial. 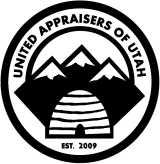 Aspen Appraisal Group (AAG) has a passion for helping others avoid losses, and will provide a property valuation report before the homeowner makes any investment to help avoid diminishing returns. Call today with any questions you might have or schedule an appointment. You can also receive a free quote by clicking here. If you aren’t sold yet, see what others are saying about Aspen Appraisal Group by clicking here.